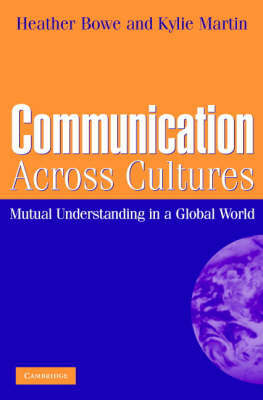 Communication Across Cultures is an academic reference for university students and interdisciplinary researchers who have no specialised knowledge of linguistics. Key concepts relevant to an understanding of language issues in intercultural communication are drawn from the research area of pragmatics, discourse analysis, politeness and cross cultural communication. The book examines the ways in which the spoken and written word may be interpreted differently depending on the context and expectations of the participants. Intercultural communication involves additional sociocultural dimensions to the context. Examples are drawn from a variety of languages and cultures - ranging from Japan to Germany to the Americas, to Africa and to Australia. Relevant academic literature and recent research is exemplified and explained throughout the book so readers can become familiar with the way research in this field is conducted and so that interdisciplinary researchers can incorporate some of the perspectives presented here into their own research.